All classes utilize the renowned ABT National Training Curriculum taught by ABT- NTC Certified instructors and feature live piano accompaniment. Select students will be asked to participate in ABT-NTC Affiliate Examinations based on progress and age requirements. All courses listed below are academic-year-long enrollments. Enrollment is no longer by semester. Please read the information concerning registration below. Class placement and scheduling inquiries? Please contact Ms. Maeve Dougal, Director of Ballet. International Dance Supplies will no longer be the supplier of our ABT uniforms. We are in the process of making arrangements with another supplier recommended by ABT. Details will be shared when finalized. No evaluation is necessary; placement is determined by age. Register here. Day & time: Saturdays, 11:00 – 11:45 a.m.
No formal evaluation is necessary; placement is determined by age. Register here. Day & time: Saturdays, 12:00 p.m. – 1:00 p.m.
Placement is by faculty evaluation. Call to register. Saturdays, 10:00 – 11:30 a.m.
Thursdays, 5:30 – 7:00 p.m.
Fridays, 5:30 – 6:30 p.m.
Saturdays, 11:45 a.m. – 1:15 p.m.
Placement is by faculty evaluation. Apprentices take class with the Pre-College Conservatory students on Wednesday, Thursday and Friday and Saturday Repertory. Saturday technique class is for the apprentice level only. Call to register. 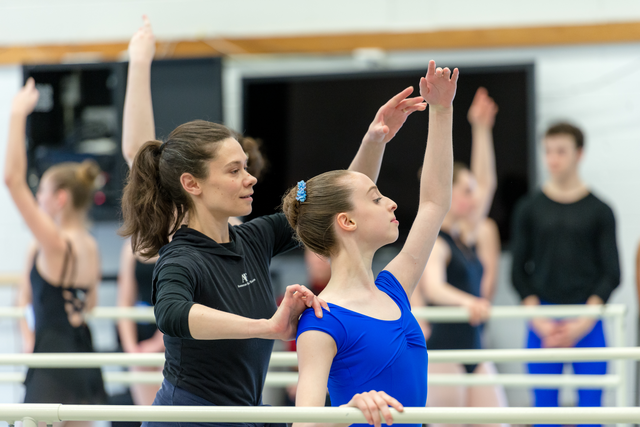 Saturdays, 1:30 – 3:30 p.m.
Saturdays, Repertory & Conditioning, 3:45 – 4:45 p.m.
Fridays, 5:00 – 6:30 p.m.
$25 fee for ABT-NTC examinations. Financing is available in the form of personal loans up to $10,000 from the Rutgers Federal Credit Union. Click here for more information. Click here to apply for a loan. For any questions regarding registration, please read our policies page here.